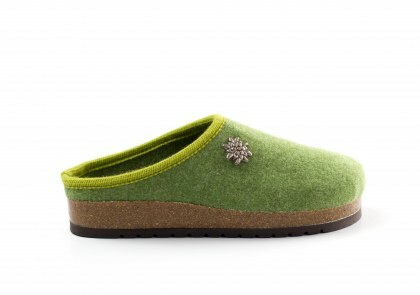 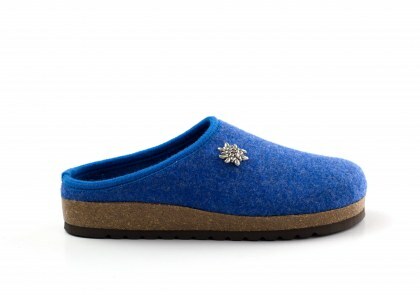 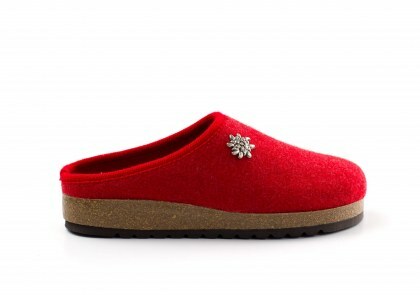 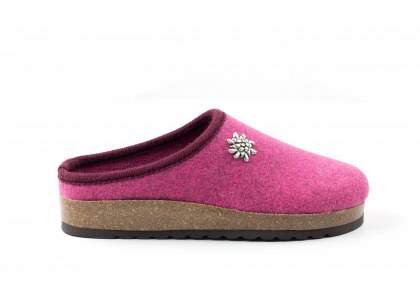 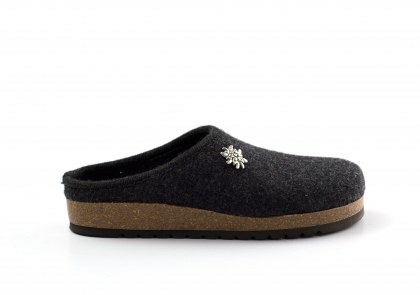 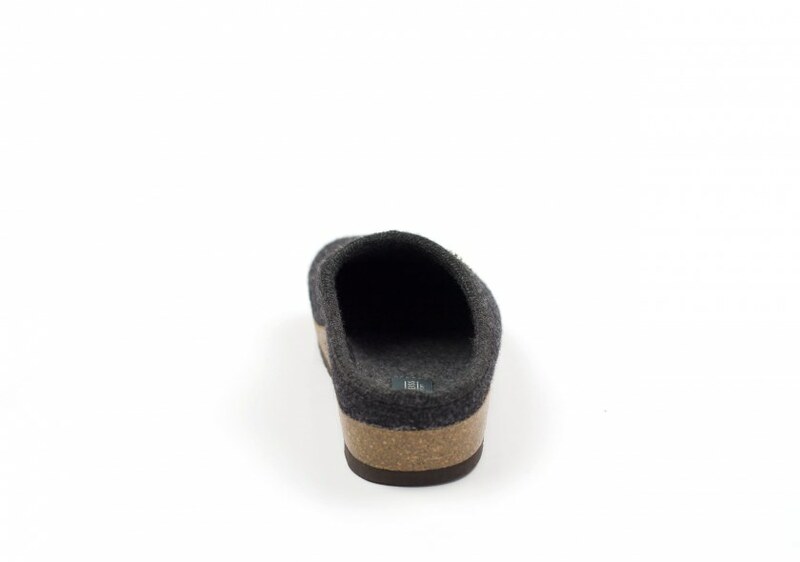 Wool felt clogs with alpine star embellishment, wool felt insole and cork and rubber sole. 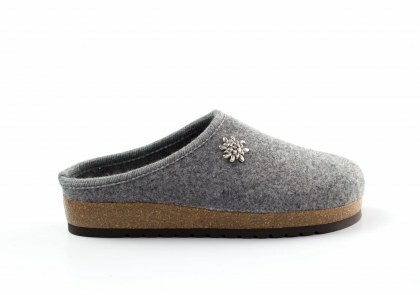 The wood creaking beneath your feet, the crackling coming from the fireplace and the sweet silence of snow as it falls. 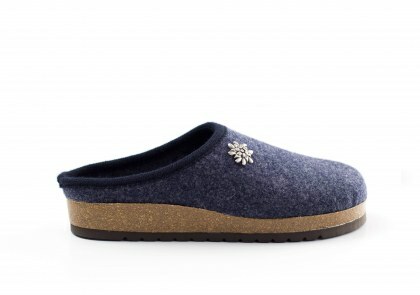 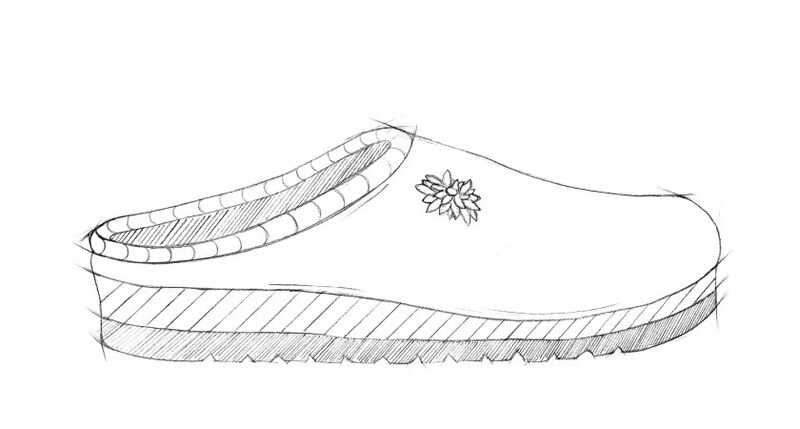 Chalet is the spirit of winter embodied by a slipper. 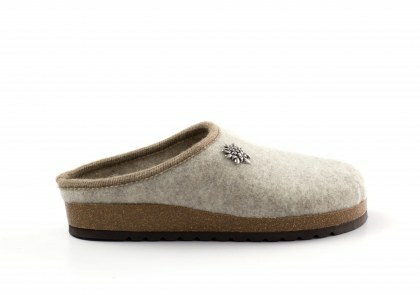 Tyrolean slippers handmade in boiled wool felt with a cork sole. 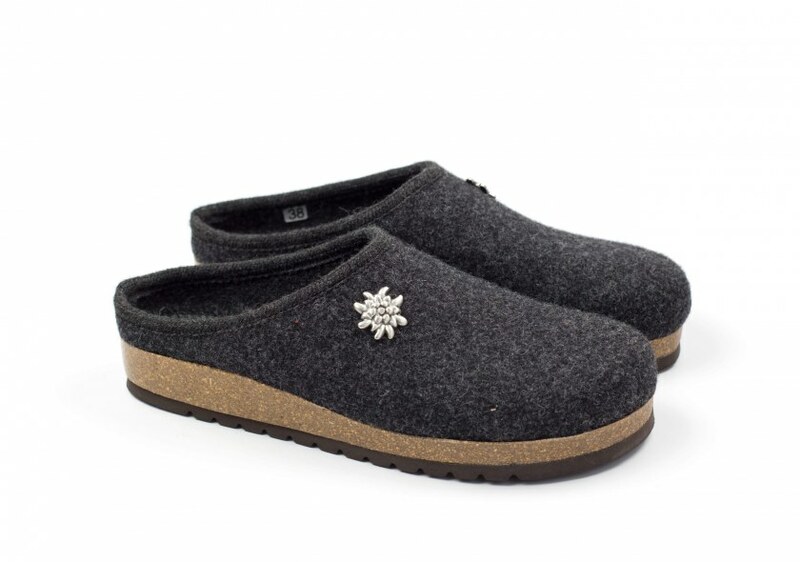 The metal alpine star embellishment on the upper pays tribute to the Tyrol. 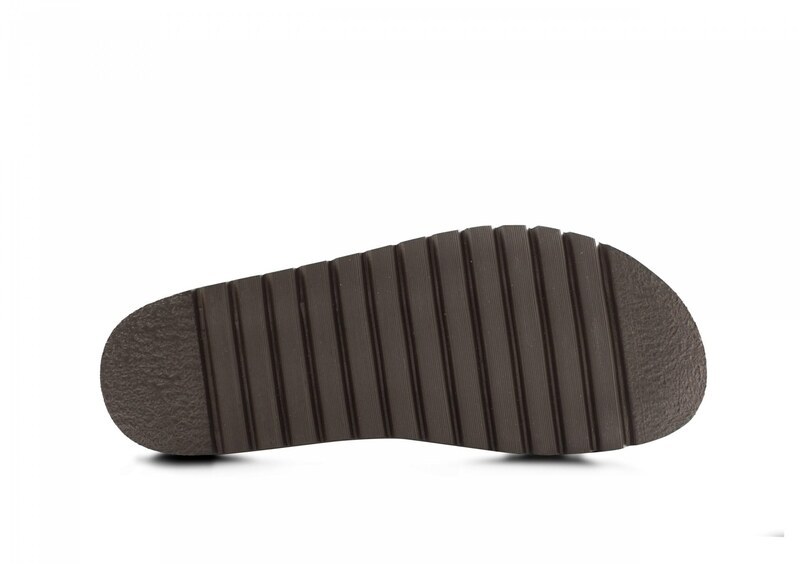 Perfect for anyone who adores genuine mountain slippers.